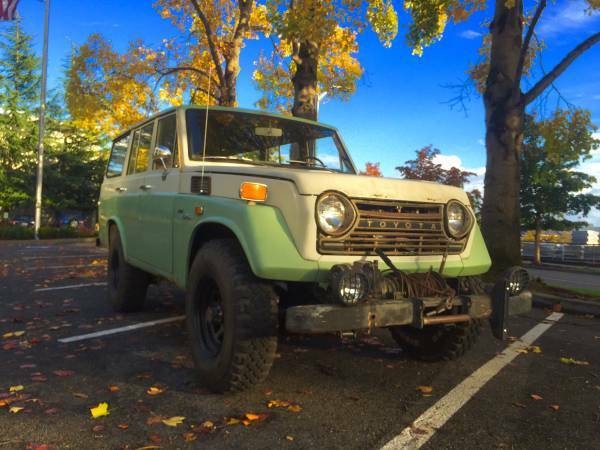 Showing Articles Posted In: "1971"
Toyota Land Cruiser for sale, this you will not see often on the road or at camper parks, is a real adventure camper truck based on 1971 Toyota FJ55 Land Cruiser being offered for sale in Craigslist for $30000 OBO located in Virginia. 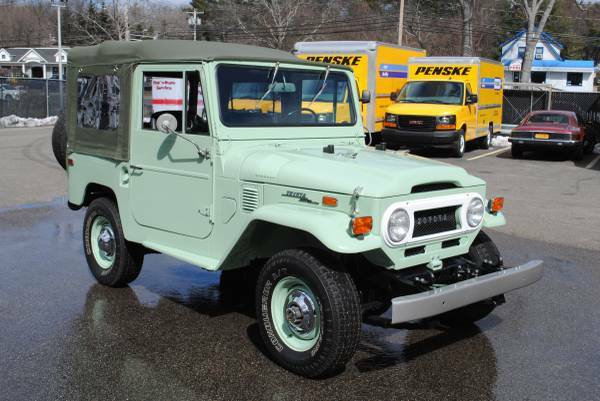 The truck has been totally restored in and out with a new two tone paint on the exterior and renew leather seats on the inside. The interesthing is has a nice tent which can be opened and closed on the top side were able to accommodate 4 adults. And to accommodate all adventurous purposes, the engine was swap by 350 V8 motor and fitted a winch, bullbar and a pair of additional lamps at front. 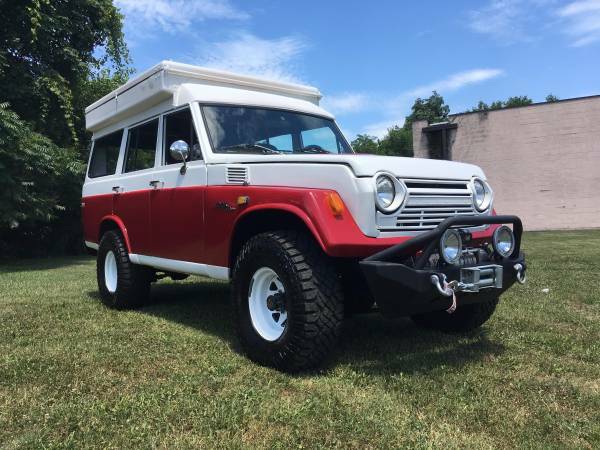 Toyota Land Cruiser for sale, found this one cool original survivor FJ40 being offered for sale today, it could be a remarkable example of the Toyota Land Cruiser FJ40 family, unmolested still in excellent condition overall has been driven about 77,300 miles. 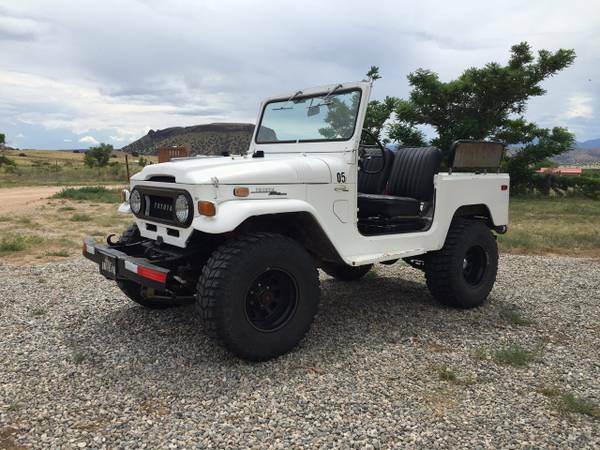 As you've see here is 1971 model fairly nice red with white hardtop styled. Asking $23700 located in Kalama, Washington. 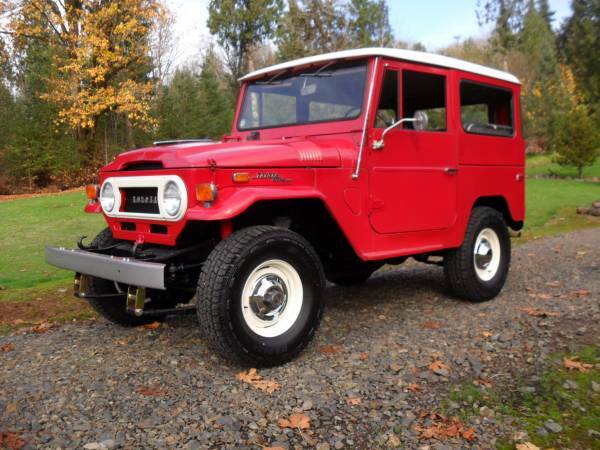 Toyota Land Cruiser for sale, this early of the Japanese SUV being offered for sale in Seattle, is original examples of the FJ55 Land Cruiser built in 1971 is said runs and drives greats, never get touch restoration or modified. That could be a perfect start to light restoration, very fun to see him on the refreshing look, like a new paint and new chrome. 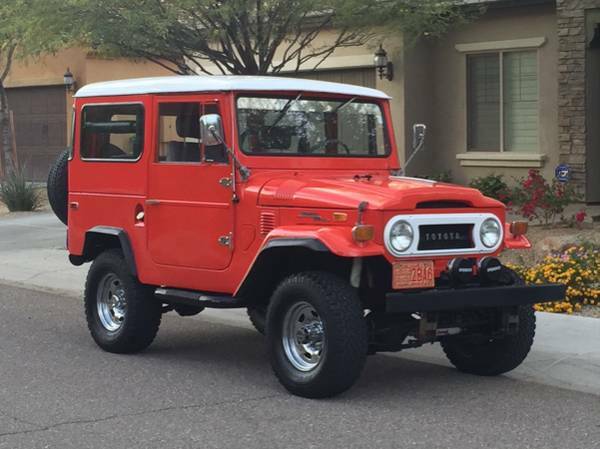 Toyota Land Cruiser for sale, This a nice restoration of the Toyota FJ40, it's for sale in North Phoenix for $21500 is said good as daily driver and it was driven about 8000 miles since rebuilt done, all looks perfect inside and out, body frame has a good shape overall but it little bit weird with its additional fender, imposing looks. 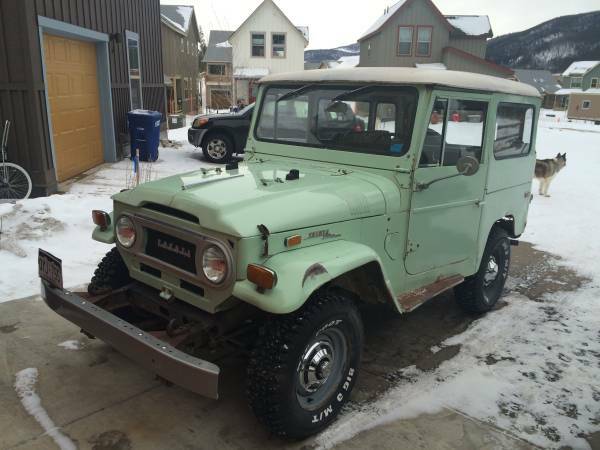 1971 Toyota Land Cruiser FJ40 VIN: FJ409744, need more detail please read below.